Loc Rocker: Shake dem locs!! Ever have those days where you are REALLY feeling yourself? 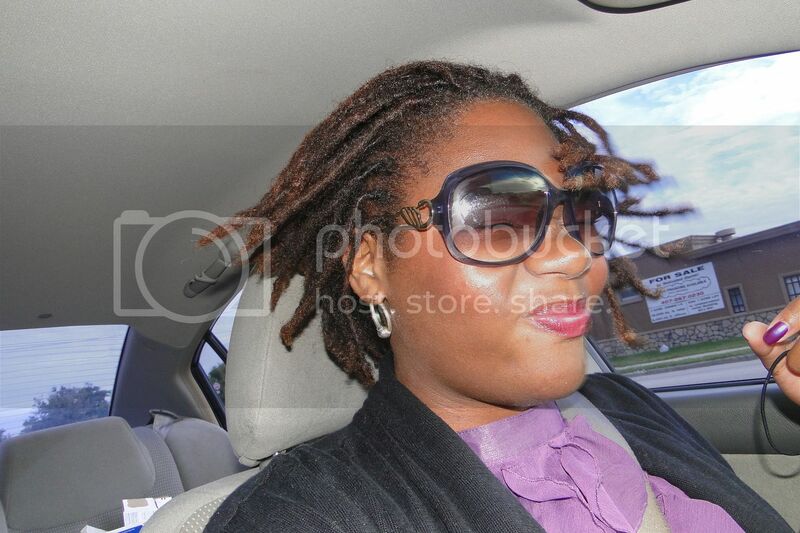 Boyyyy, the locs had me feelin' fabulous yesterday! And while at the red light, I realized the three people in car in the left lane were giving me serious looks. Yesterday was Locs Day on Twitter and I'm mad at myself for not promoting it the way I should have. The next time it rolls around, I'm going to make it a big deal. I love the sista/brothahood that lives in the online natural hair community. It's just a beautiful thang. If you live in Florida or plan on visiting this summer and fall, please let me know! There are going to be some rockin' natural hair and loc events. I plan on going to them ALL. My girl Roshni from Glamazini and I were joking about meeting on a natural hair cruise but how dope would that be? There would be hair shows, training classes, fitness classes, make-up artistry, stylists, life coaches, etc. Of course it would be kid and guys single guy friendly. We'd dock on some fabulous island, eat an insane amount of conch fritters and starfish, mingle, dance, learn, laugh, pray, sing and entertain. I'm a Jill of many trades but event planning is so not my forte. But who knows, maybe we'll see something like that in the near future. Would you go? I would be the first to sign up. That would be so much fun!! also do you have a blog re your healty eating and working out???? That sounds so hot. I'd definitely be down. I'm feeling myself on a regular basis these days!! I like to shake my hair in my husband's face when he says something silly to me. 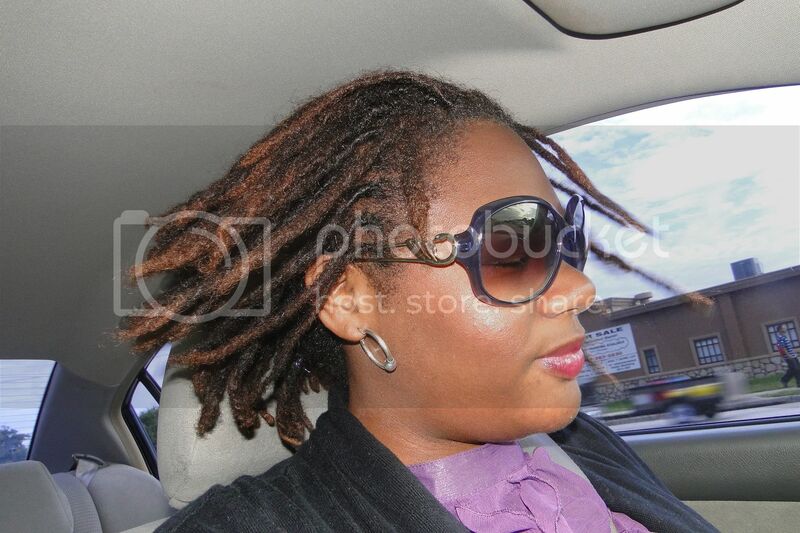 You're definitely rockin' your locs! Just voted for you on AfroGlitz! Congratulations on your nomination! Ooooooh!!! Your locs are looking be-you-ti-full!! Gorgeous pics! I feel so bad that I was too sick to post my Happy Locs Day post earlier, but I got it up by the end of the day. Hopefully next time around we will be able to spread the word. Loved running into more loc rockers on twitter yesterday. LMAO!!! 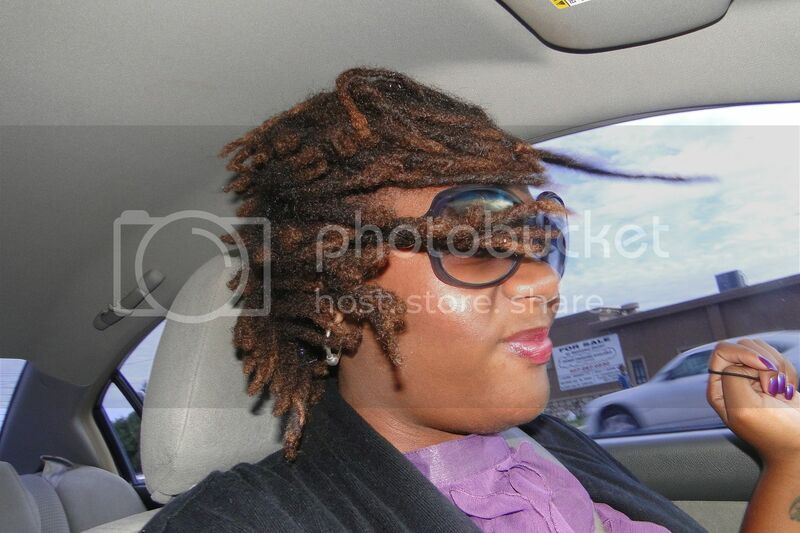 You are too funny and your locs look way too good! Shake dem dreads. yes I would go in a heart beat..make it happen. Pls post(or email) the natural hair events in Florida. I live in Florida and I would looooooove to go to some and the famz would be super excited!